UPDATE 21/03/2019: EVEsterdam tournament bracket, together with the ships and fittings have been made available. Everyone can also now start sending their predictions via Challonge page. Please see the links below. In addition, ECM Jammers have been added to the Grand Finals fitting restrictions list. UPDATE 06/03/2019: Rules have been modified to include additional 5 mins before each match/series for players to update their hotkeys. The EVE Invasion World Tour is taking us to several locations around the globe this year and every event will feature a single elimination 2v2 tournament to find the most bloodthirsty PvPers each region has to offer. Brave Capsuleers who decide to take on this challenge will be fighting for more than just the title, PLEX and bragging rights. 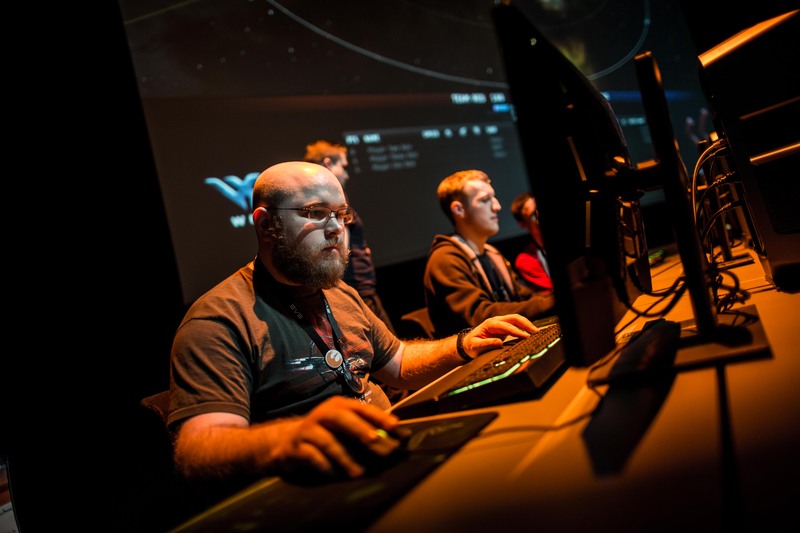 Every winning team from all seven locations will be invited for a paid trip to CCP’s home in Reykjavik to showcase their prowess in battle and compete against each other at EVE Fanfest 2020! For those of you who cannot directly participate in the competition, we have prepared a Prediction Bracket Challenge. This little contest will let everyone submit their predictions for a chance to win one of five prizes consisting of swag and codes for digital items in EVE Online. We hope that the EVE Invasion Tournament Series will deliver a solid performance of sportsmanship, destruction and create unforgettable moments throughout the year for all participants and live stream viewers around the world. To be clear, this series is not designed nor intended to replace or fill the gap made by the Alliance Tournament taking a break in 2019. Rest assured, CCP is committed to carrying on the tradition of yearly Alliance contests in the future that many players get to love. In the meantime, all members of the community who are looking to organize their own tournament are encouraged to reach out to EVE’s community team to discuss ways CCP can support your efforts. We have set aside internal resources to support selected player-organized competitions in 2019 by providing limited Thunderdome support and offering digital rewards to up the stakes whenever possible! We’re looking forward to collaborating with you and will be evaluating all requests on a case-by-case basis. Please send an email to communityteam@ccpgames.com at least 90 days before the time you wish to host your event and please include dates, format, desired support as well as any other important information about your proposal. This blog will function as a hub to store all the relevant information about the EVE Invasion Tournament Series like brackets, sign-ups, ruleset and links to forum discussions. Make sure to bookmark this page and keep a close eye on CCP channels for more details. Best of One (Bo1) bracket with Best of Three (Bo3) Semis and Grand Finals. 64 teams limit, apart from EVE Russia and EVE London which will have 32 teams limit. A selection of pre-determined ships and fittings that will be different each time and announce 48 hours before the tournament start.